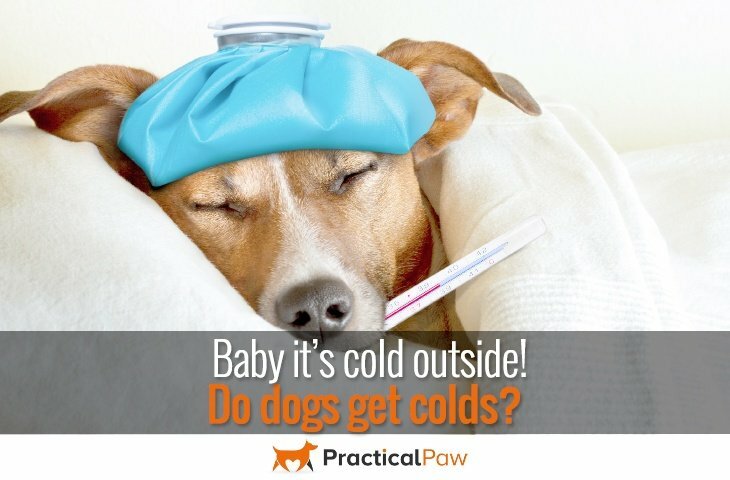 Do dogs get colds? Baby it’s cold outside! The symptoms can range from light to severe but nearly always make us feel miserable. But do dogs get colds? If you suffer the sniffles regularly and share your life with a dog. Then it’s worth knowing how to cope when your four legged friend feels a little low. Dogs catch cold in the same way that we do. The virus is transmitted by airborne droplets or by direct contact with an infected dog or object. The good news is that our dogs can’t catch a cold from us or vice versa. The viruses that infect humans and dogs are different, as is the environment (our bodies) in which they thrive. However, a warning for any cat lovers out there. This isn’t true for your feline friends so if you do have a cold, no kissing your cat! If you’ve had the viral infection yourself then you will know although it may make you feel uncomfortable, it normally clears up within a week. Our dogs are similar, if they are kept warm and hydrated they should be back to their old selves within a few days. Symptoms, what to look for? Since colds can be passed from dog to dog, doggy day care or hounds that are social butterflies are more likely to catch and pass on the infection. If you suspect that your dog is unwell it’s best to remove them temporarily from social interactions. This helps to prevent your dog from spreading the infection further. When fighting an infection have you ever just felt like staying in bed and curling up while someone brings you hot soup? Well our dogs may feel the same. While a cure for a common cold is still a long way off. There are things that you can do to make your dog more comfortable. Firstly make sure that your dog is warm and dry. Keep their bedding clean and fresh and restrict their walks and the time that they are spending outside. This is especially relevant in cold weather. Because when cold air is inhaled it constricts the bronchial tubes which will make it harder for your dog to breathe. Some dogs, particularly those with short snouts or squashed faces like bulldogs may be affected more than others. Ensure that they have plenty of fresh drinking water as fluids are very important. If your dog has gone off food you can tempt them with chicken broth (low salt). As it will not only increase their fluid intake but will also help clear nasal congestion. Also it will give your dog’s immune system a boost if they are not eating. Running a hot bath or using a vaporizer can also help with breathing difficulties. Just as we would put our heads over a bowl of steaming water if we are congested. Moist air can help open the bronchial passages and clear the nose. Even if your dog is always on the go, encourage them to rest. Their immune system will be busy fighting the infection and your dog may not have the energy to play or walk as they would normally. You may have experienced it yourself when trying to do too much when unwell, it prolongs the infection and makes you feel worse. So downtime is vital for a poorly dog. When is a cold not a cold? Occasionally cold like symptoms can indicate more than a simple upper respiratory infection. There are several other conditions that share similar symptoms but are potentially more dangerous. These include kennel cough, allergies and influenza. An extremely infectious and persistent infection. 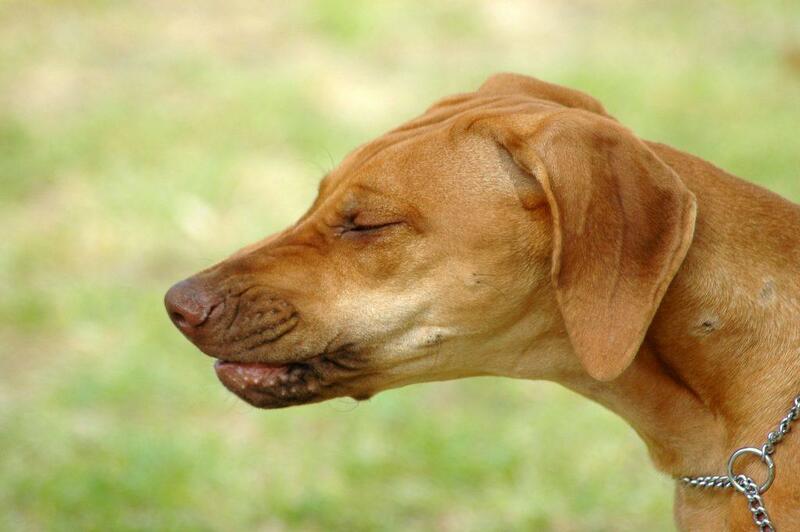 Often described as a deep honking cough it can appear that your dog is trying to clear their throat or is gagging. Despite the noise that your dog may be making they are less likely to go off their food than with a cold. What’s more it will usually clear up of its own accord. However, if you are concerned or are unsure then do check in with your vet. Dogs are as likely to suffer from allergies as we are. If you are a hay fever sufferer then you will know the misery of this seasonal sneeze fest. Watery eyes, running nose combined with difficulty breathing it’s often mistaken for a cold. If your dog seems to have a cold at regular intervals it’s worth thinking about whether it’s actually an allergy. Not only are dogs affected by seasonal allergies but they can also have allergic reactions to food and to household items like carpets and carpet cleaners. There are two types of flu virus that affect dogs and the symptoms are similar to that of a cold but typically the dog will develop a fever. The difficulty with recognising whether your dog has the flu is that a percentage of dogs do not show any symptoms at all. What’s more, it can range from a mild to severe infection. There is a flu vaccine available but this is a preventative shot and not appropriate once your dog has developed an infection. For dogs that have known breathing difficulties such as pugs and English and French bulldogs it may be worth discussing the vaccine with your vet further as a precautionary measure. However if you want to err on the side of caution then take your dog for a check up as soon as you notice any symptoms. Since puppies, elderly dogs and dogs that already have impaired immune systems can be more vulnerable to infections and complications it’s advisable to take them straight away to be on the safe side. Yes they do, and just like us they can feel miserable when they do. Although colds are not uncommon, especially in dogs that spend a lot of time with their canine counterparts you should never ignore the symptoms of an infection. Some dogs need extra monitoring either because of their age, older dogs and puppies being more vulnerable or because of their breed, squashed face dogs being more susceptible. If you notice your dog is off colour, especially if they are in a vulnerable group do take them for a check up where the vet can confirm the diagnosis and offer you advice on the best care for your dog.